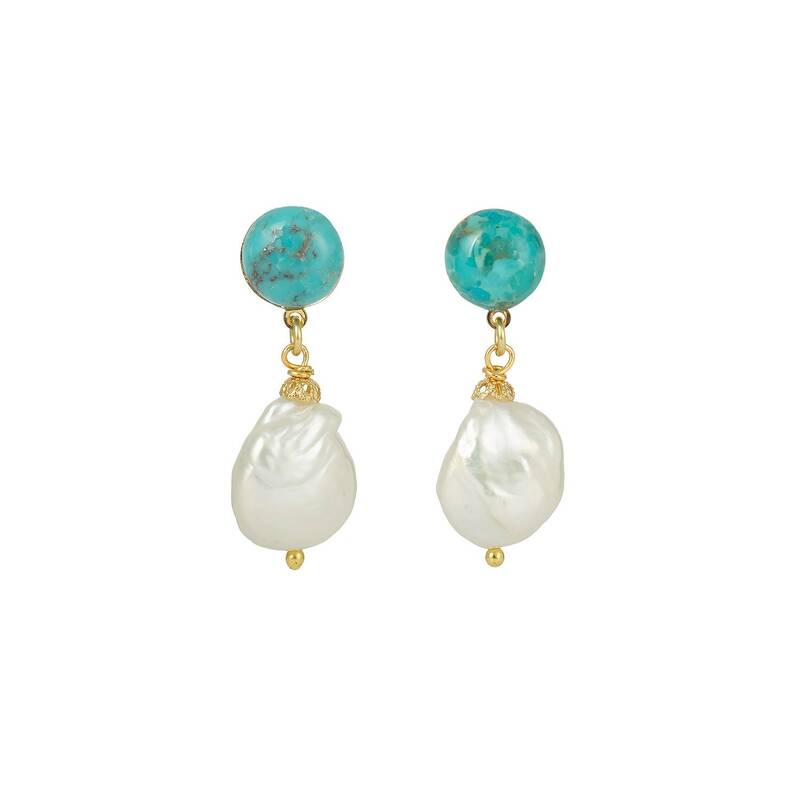 Pearls drop earrings made of brass, turquoise semi precious stones cabochons and two natural cultured pearls. Pearl : 2 x 1 cm approx. Each pearl or turquoise stone is unique. No two pieces are the same. The turquoise and pearl earrings are available as well with turquoise mojave (green) stones.